How to break a credit habit and learn to live without credit cards. 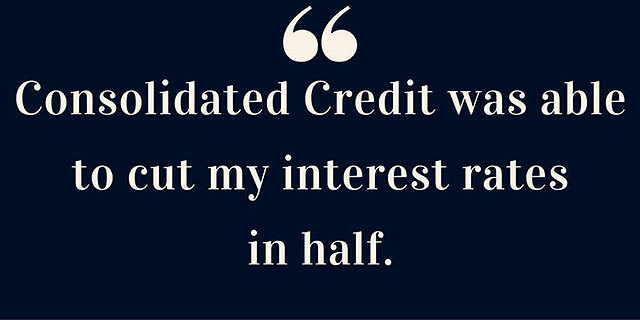 Credit dependence can be a tough habit to break. Once you grow accustomed to pulling out plastic it can be hard to go back. But credit dependence is rarely good for your budget. And breaking the habit is essential once that reliance turns into problems with debt. When Linda came to Consolidated Credit, she admits she used credit cards to purchase almost everything she bought. With our help, she was able to break the addiction while eliminating the $17,000 tab she’d already generated. It’s a common problem with credit use. Credit cards offer convenience, often along with the added incentive that you can earn rewards for spending. Using credit becomes a habit that leads to high levels of debt. It’s only when the cardholder realizes that they’re struggling to keep up with the payments that the problem really becomes apparent. While driving in her car one day, Linda heard a commercial for Consolidated Credit. The promise of finally achieving freedom from debt led her to pick up the phone. It sounded exactly like the lifeline she needed. That’s not to say that Linda didn’t feel a little reluctance at first. When she heard that her credit cards would be frozen, she worried she wouldn’t be able to make her budget work. 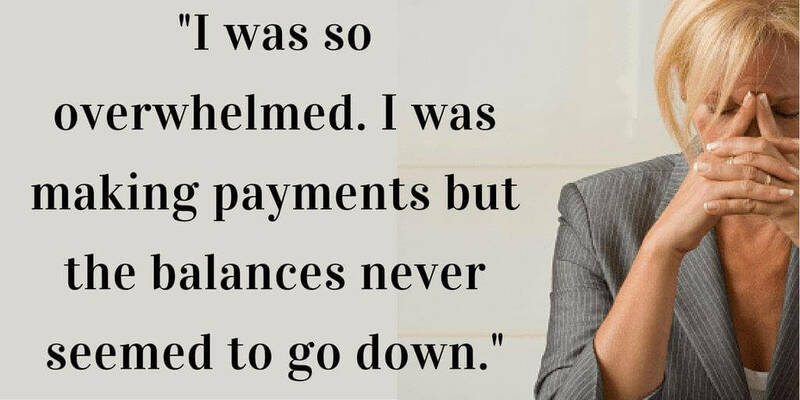 As her balances have disappeared, Linda has taken advantage of Consolidated Credit’s free financial resources to learn better habits. She’s focused on learning how to use credit in a financially healthy way and how to budget so she doesn’t have to rely on her cards. Once Linda completes the program, her credit card accounts will be restored. However, she has no intention of letting things slide again.